Investigations into the alleged looting of state fund 1MDB by an audacious international fraud ring have already seen her husband Najib Razak hit with more than two dozen charges. Rosmah Mansor, the flamboyant wife of Malaysia's former prime minister, was arrested today by the country's anti-graft agency over a multi-billion-dollar scandal that helped to bring down the last government. Investigations into the alleged looting of state fund 1MDB by an audacious international fraud ring have already seen her husband Najib Razak hit with more than two dozen charges including corruption and money laundering. He is out on bail following his spectacular fall from power in May elections, at the hands of a reformist alliance headed by Mahathir Mohamad. "Rosmah has been arrested," her lawyer K. Kumaraendran told AFP after she was questioned for hours at the Malaysian Anti-Corruption Commission (MACC) on Wednesday. She is expected to spend the night at the MACC headquarters located in the administrative capital Putrajaya outside Kuala Lumpur. Rosmah, widely reviled in Malaysia due to her profligate spending and imperious manner while her husband was in power, arrived at the MACC headquarters in a two-car convoy late Wednesday morning. 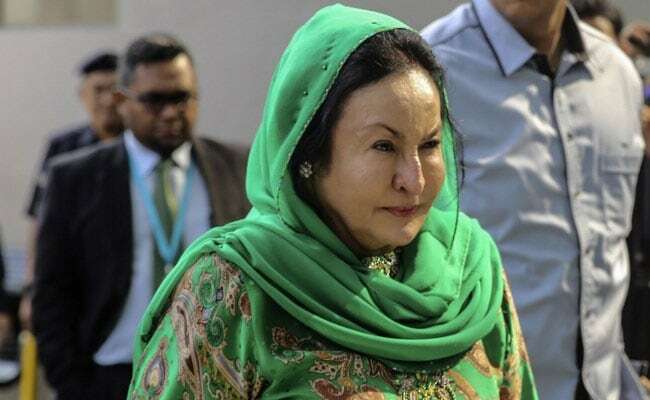 Rosmah, wearing a light green dress with matching headscarf, was met by her lawyers and escorted by anti-corruption officers into the agency's building. 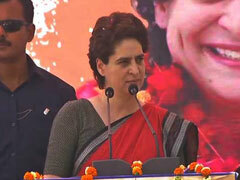 She smiled as she walked past journalists but did not make any comment. In Rosmah's last appearance a week ago, she was questioned for 13 hours. A central issue in the campaign was the allegation that Najib, his family and his cronies looted billions of dollars from 1MDB in a fraud ring that stretched from Singapore to Switzerland. Rosmah's love of costly overseas shopping trips, designer handbags and jewellery made her a lightning rod for public anger, and fuelled suspicions that she benefited from the plundering of 1MDB. After the election loss, a stash of cash, jewellery and hundreds of designer handbags worth as much as $273 million was seized from properties linked to the couple in raids around Kuala Lumpur. Prime Minister Mahathir Mohamad, 93, who came back from retirement to challenge Najib, has launched a crackdown against corruption involving people in the previous government.